"Alex Reed has skill and sensitivity..." A detailed review of Alex Reed's A Career in Accompaniment is now up at Sabotage Reviews. 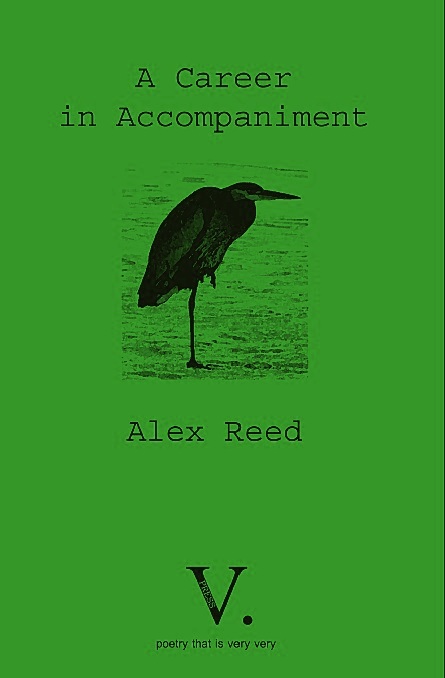 More information and a sample poem from A Career in Accompaniment can be found here. The pamphlet can be ordered using the paypal link below. Sit by a window, probably an old one criss-crossed with leading, overlooking a lawn, but just as well a sunny dormer across roofs sketched in aerials. Pick up Fragile Houses and open it. 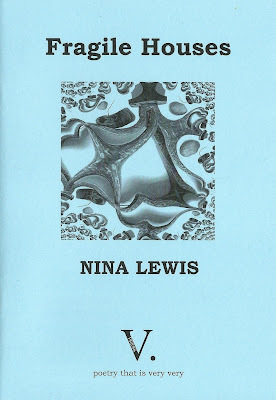 The photographic art of Sarah Leavesley is rye bread to Nina Lewis' relish, these bitter-sweet poems. I am going to let in the frosty air, breathe in "electromagnetic memories." It's these little moments when life runs most real. Lewis writes with class and clarity. Her poetry is earthly but inhabited by spirits. A grandmother looks at a photo, "the young girl turns." Let's try food laced with tradition to go with this. Identity, and a simplicity that is not easily achieved. "Dining tables with black and white prints, a tablecloth of lives" make me want to admire exquisite dishes of sushi, before carefully selecting each one. A little square plate on the cushioned window seat. Nina Lewis' precise household scenes are deceptively colourful, blackly outlined. I have chosen Japanese food to go with this book, to throw the Englishness of her work into high contrast. In both cases, I am nourished by the strength of cultural identity and belonging. Like Leavesley's accompanying illustrations, the poems are assembled from bric-a-brac and love. Each is rounded off with such a deft flick, unexpected or even abrupt but satisfying every time. I'm thinking of neat Japanese single malt to follow, smooth going down and fiery on the inside. 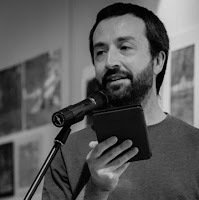 The poetry is "split like a spilled yolk / between love and something darker". The family history Lewis invites us into is tender to the point of hurt, and inseparably loyal. The rice has a gentle vinegar to it, the seaweed brings with it all the flavours of the deep. Then you taste the wasabi. Gram Joel Davies lives in Devon. His poetry has appeared in Lighthouse, Magma and The Moth, to name a few. You can find him at http://gramjoeldavies.uk. For a sample poem from Fragile Houses, please click here. TO BUY Fragile Houses now using the paypal link below. If you love poetry and you live in the UK, then it's hard (we hope!) to miss that today is National Poetry Day. The video (created for our submissions window earlier this year) features poetry snippets from Jacqui Rowe's Ransom Notes, David O' Hanlon's art brut, Claire Walker's The Girl Who Grew Into a Crocodile, Kathy Gee's Book of Bones, Alex Reed's A Career in Accompaniment and David Calcutt's The Old Man in the House of Bone (with illustrations by Peter Tinkler), as well as prose from Carrie Etter's flash fiction pamphlet Hometown. 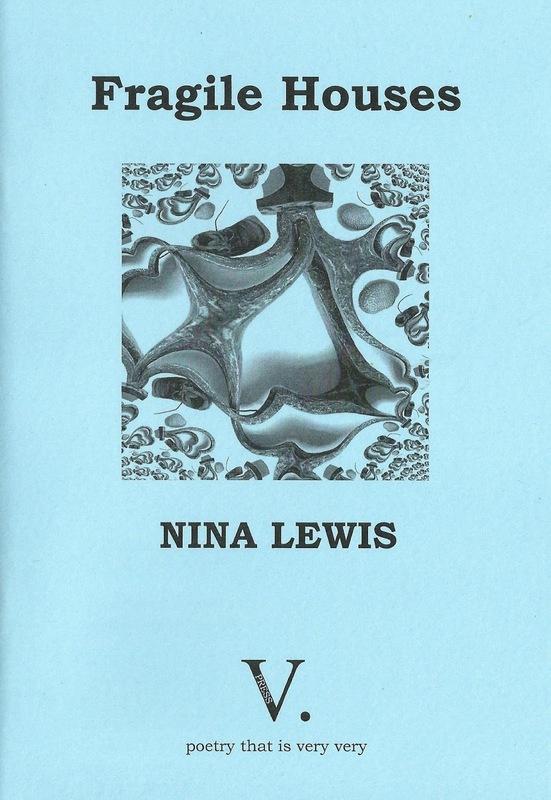 New to the 2016 V. Press pamphlet selection is also Nina Lewis' Fragile Houses (with a photographic sequence from S.A. Leavesley), which was launched earlier this week. A sample poem from this pamphlet may be enjoyed at the end of this post. 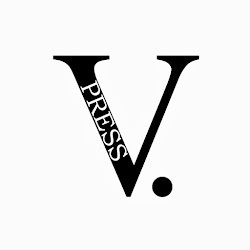 three 'surprise selection'* V. Press pamphlets for just £12.50, including P&P in the UK. HAPPY NATIONAL POETRY DAY 2016!!! * Order, then sit back and see which pamphlets we pick out for you! I stared right at her. I knew this; I knew it. This made me think I was right after all. 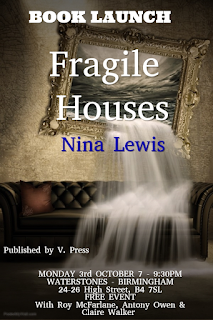 V. Press is delighted to launch Fragile Houses, a debut poetry pamphlet by Nina Lewis. Home is more than a brick building, family trees or ancestral bones. 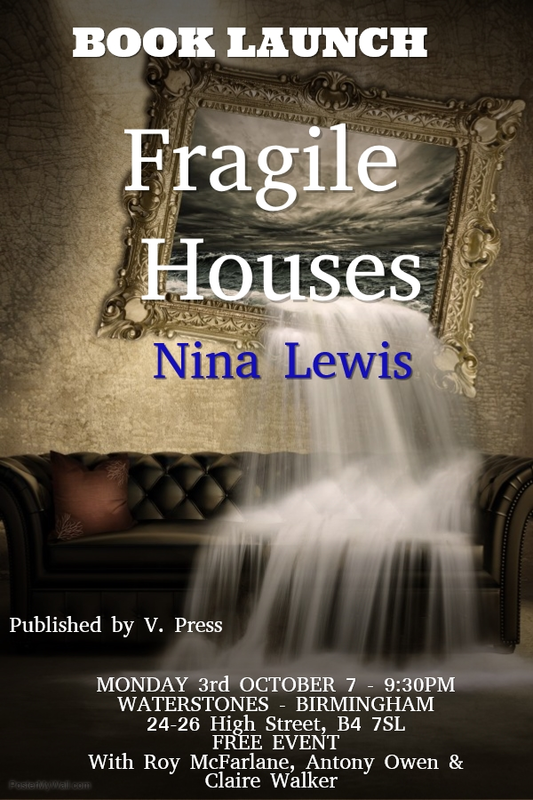 In Fragile Houses, Nina Lewis explores the people, places and memories carried through life. Vibrant imagery and precise insight reveal strength in the most tender places. 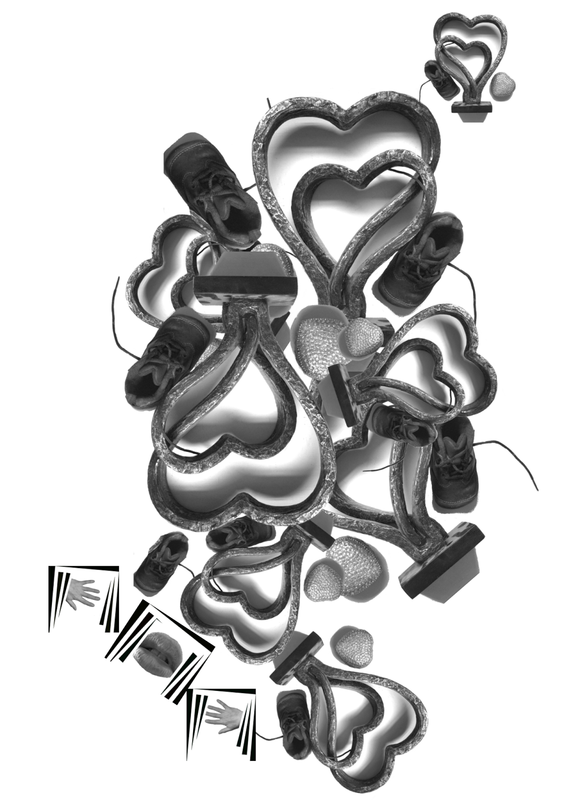 The pamphlet includes a photographic sequence from S.A. Leavesley that is directly inspired by the poems’ vivid mix of fragility and sharpness. Fragile Houses is very authentic and very fervent. To buy a copy of Fragile Houses now, please use the paypal link below, taking care to select the correct postage & packing option). A sample poem may be found below, along with a sample image from the pamphlet's photographic sequence by S. A. Leavesley.